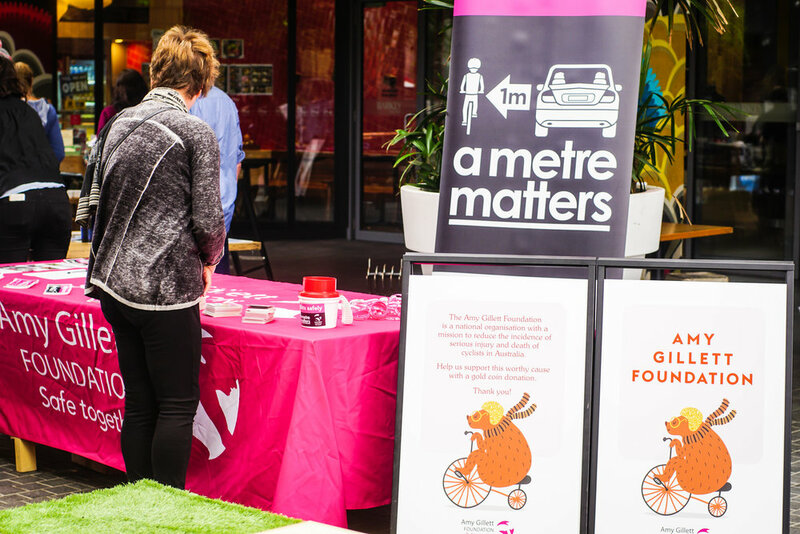 Barkly Square hosted RIDE: a cycling safety event, in its outdoor laneway precinct - an event aimed to raise awareness and funds for cycling safety, with donations going to The Amy Gillet Foundation. 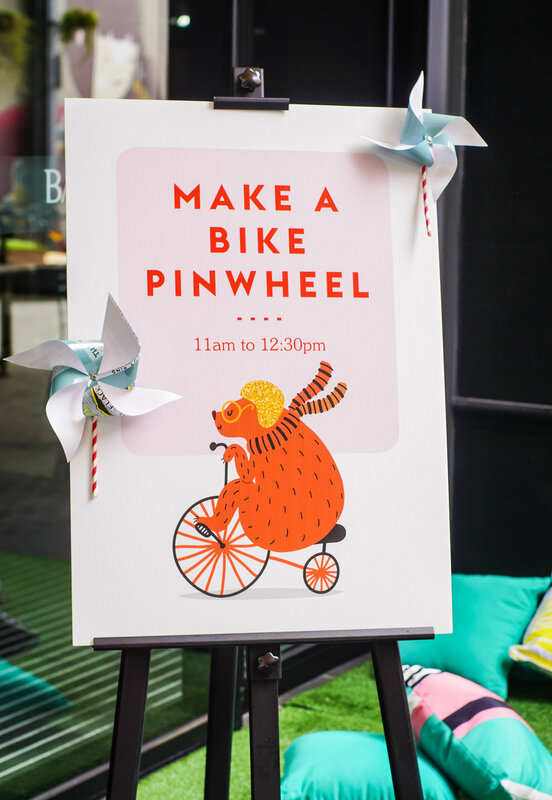 We conducted a children's craft workshop making bicycle pinwheels out of recycled book covers. Other events included Bodhi and Ride bringing their club style spin classes to the festival, with all day spin classes and a huge challenge set. Over the day, riders were challenged to reach 413km (collectively). Each kilometre representing the 413 serious bike accidents that take place per year (TAC 2012). Also on offer were free smoothies by Bike n' Blend, giveaways from Transport Accident Commission (TAC), bike skills workshops with Bicycle Network, cool cycling gear from CycleStyle and stands from Amy Gillett Foundation, Ray's Bicycle Centre and Moreland BUG.